1 in 4 women are affected by pregnancy and infant loss. You may have heard about us. You may even know us. We are your neighbors, your coworkers, your teachers, your friend of a friend. We shop at your grocery store and go to your gym. We are all races, religions, and ethnicities. We are rich, we are poor. We want our children’s stories told and we need you to listen. We are the one in four. Lori Donaldson is a 49 year old mother who works as a paraprofessional in a school for children with special needs. She has been married for 24 years and enjoys reading, distributing essential oils, and singing broadway show tunes! Lori says, “The happiest and saddest day of my life are all tangled up into one. It is difficult to strike a balance between joy and grief for every milestone my girls meet, knowing that my son did not get those chances.” Lori’s living daughters, now 18 years old, love and respect their brothers small but meaningful part in their lives. They feel that J.R. is their very own special guardian angel. Lori holds a Teddy bear in her photos along with the one and only photo she has of her triplets together. The bear is a symbol of the memorial program the Donaldson's started called "Joined in Remembrance". Through this program, they provide families who have suffer a loss a teddy bear as "An understanding hug for empty arms" as well as a short note, to let them know they are not alone. These teddy bears are distributed at Morristown Memorial Hospital. Brianne Szep lives in Hoboken with her husband Greg and 19 month old daughter Reagan. She is a former elementary school teacher who is now a full-time stay at home Mom. The Szep family loves taking walks, and visiting the local parks and restaurants. On June 22, 2015 at 24 weeks pregnant, Brianne went into early labor and delivered a sleeping baby girl, named Mary Grace. Brianne and her family were able to spend precious time with their sweet 1 pound 2 ounce daughter while in the hospital. After much testing, it was discovered that Brianne has a rare condition called antiphospholipid syndrome, a disorder in which the immune system mistakenly attacks normal proteins in the blood. This is believed to be the reason for their loss. ​Brianne is pictured with her Molly bear which weighs 1 pound 2 ounces, the same weight as Mary Grace. They used this bear in little sister Reagan’s newborn photos and stays in her room, watching over her. Natalie Santos describes herself as “domesticated goddess”. She is 37 years old and loves to read, laugh, and spend time with her family and friends. Natalie is the proud mother of Ruby Valentina who is 22 months old. In 2015, Natalie suffered a miscarriage at 10 weeks pregnant. She says, “I felt like a failure. I questioned myself and my faith.” Natalie recalls feeling alone no matter how many people surrounded her. Natalie states that people “expected her to get over, it and not be so emotional, because she was only 10 weeks pregnant.” But Natalie and her husband lost their child, a child who’s heartbeat they had heard. ​It is important to try not to “blame yourself” and to remember that your “spouse suffers” the loss as well, Natalie advises. “Allow yourself to feel” and to grieve. Tomeia Thornton is a 37 year old stay at home Mom who loves to cook and bake. She has been married to her husband Timothy for 10 years and has 2 step children and 2 adopted children (Tim 18, Tamia 16, Samara 9 and Dekota 5). Tomeia also enjoys, traveling, playing softball, and helping others. On March 4, 2018, a mere 7 months ago, Tomeia lost her daughter Ariella Christine, at 5 months gestation due to an infection. Group B Strep is a common bacteria found in the body that is harmless to adults. However, if passed to the unborn child it could be fatal. This was Tomeia’s first and only pregnancy. Reva Judas is an early childhood educator and director of Nechamacomfort. She has 4 living children and 4 grandchildren. Reva and her husband Danny lost their son Pesach born April 16. He passed away at only 12 hours old, due to a congenital heart defect. Reva also suffered 6 miscarriages between the years of 1989 through 1999. “Our son died at a time when silence was the answer. We were told to get past it.”, Reva recalls. Determined to create change, Reva created a non profit organization called Nechamacomfort. She serves all family members who have dealt with the loss of a baby from early miscarriage until the age of one. Nechamacomfort provides counseling, support groups, educational programming for medical personal and clergy as well as sensitivity training for community members. Dominique Rice is sales manager in New York City. She lives in Brooklyn with her husband and 2 children Lena and Tyson. Dominique enjoys running and spending time outdoors. On May 29 2017, after a healthy pregnancy with no complications, Dominique gave birth to a baby boy. TJ, her son was born sleeping at almost 37 weeks gestation due to an umbilical cord accident. Dominique cherishes a special photograph of her husband holding her son TJ shortly after his delivery. She also has a tattoo on her arm dedicated to her son. Dominique and her family celebrates TJ by making “TJ love rocks”. They cut fun fabrics into a heart and place them on rocks they collect. They then leave the decorated rocks in places that remind them of TJ for others to to enjoy. Alison Long is a 40 year old companion/caregiver who loves animals and watching the TV show “This is us”. She has a 9 year old son named Brandon who is her “rainbow”. On June 14, 2007 Alison lost her firstborn son, Tyler Stratton due to severe preeclampsia at 30 weeks gestation. According to the Preeclampsia Foundation, approximately 10,500 babies die from preeclampsia each year and it is responsible for approximately 18% of all maternal deaths in the United States. After loosing her son, Alison quickly became a pregnancy and infant loss awareness advocate. She founded the organization “Parents of Angles United”, whose mission is to advocate for the use of and to provide, cuddle cots in every hospital in New Jersey. The organization has already funded and donated a cuddle cot to Chilton Hospital. Tyler was also honored at Newton Medical Center, when the hospital purchased its first cuddle cot, thanks to the advocacy of Alison. Alison shared It is a beautiful heart shaped necklace which reads “our loved ones walk beside us every day.” Alison says she often feels her sons presence and knows that he always watching over them. Megan Trexler is a 38 year old lawyer who enjoys running, reading, and spending time with her family. At 38 weeks pregnant, Megan noticed a decrease of fetal movement. She quickly went to her doctor who informed her that her unborn baby’s heartbeat was strong. The next day at a routine ultrasound, Megan and her husband watched their son’s heartbeat stop. On January 30 2015, Megan gave birth to William George, born still due to a maternal/fetal hemorrhage. Megan wears a special necklace with a heart charm and a honey bee charm. She received the heart charm from her aunt who also suffered from the loss of an unborn child. The honey bee charm was given to Megan by her husband on the first Mother’s Day after she lost William. The couple had planned on bringing their son home in a little outfit that read, “Buzz Buzz, you’re my honey”. But instead of bringing their son home in that outfit, he is now buried in it. The honey bee now reminds Megan of her sweet baby boy. Megan has a biological daughter named Emmeline who is now five years old. She also has an adopted son named Ethan who is 2 years old. Recently, the Trexler’s were informed that their son’s biological mother gave birth to another baby boy in June of 2017. Megan and her husband have started the adoption process and will hopefully welcome Ethan’s brother home to their family in late 2018, early 2019. Jennifer Minsky is a 41 year old basics skills teacher who enjoys cooking, biking, and hiking. She loves spending time with family including her 2 year old son Eitan. Jennifer became pregnant shorty after she got married. Unfortunately, this pregnancy was ectopic, in which the child can not survive. Due to her age, Jennifer and her husband decided to seek fertility treatment and began the IVF process. During this time Jennifer experienced 4 chemical pregnancies. Determined to have children, Jennifer sought out further medical advice. She learned that she had chronic endometriosis and required surgery. After her surgery, Jennifer found out that she was pregnant again by natural means. Sadly, Jennifer miscarried a baby girl at 8 weeks. Though the help of IVF and further endometriosis treatments, Jennifer became pregnant in December 2015, and delivered her son Eithan in August 2016. In January 2018, after an embryo transfer Jennifer experienced her 5th chemical pregnancy. Refusing to be defeated, she returned to her fertility clinic in May and had her last embryo transferred. Jennifer is now currently pregnant and due in January 2019. Jennifer is a true warrior despite having multiple losses. Congrats on your pregnancy! LaToya Gantt is a 35 year old Christian minister who also works as a business analyst. She has a four year old daughter named Kaylynn and enjoys volunteering, teaching dance and writing. In March of 2016, at 7 months pregnant, doctors informed LaToya of a grave condition in which her unborn baby had. Her sweet daughter Ananyiah was missing a chromosome, had a gap between her brain and spine and suffered from hypotonia. LaToya was told that her child would not survive due to these complications. LaToya carried her daughter for 2 more weeks before she passed away. “I enjoyed each kick and every little movement during those two weeks.”, LaToya recalled. She talked and prayed with Ananyiah each day. LaToya holds a women's empowerment conference each year in honor of her daughter. “Walking Beautifully Strong” honors 6 women who have been through challenges such as HIV, cancer, child loss ect. LaToya says, “The beauty in their story is they decided to live,” despite being faced with adversity. As a 30 year old mother of 3, Betty Babcock is kept busy caring for her children. She has an 11 year old daughter named Jazmin, a 8 year old son Nathan, and a 4 year old daughter named Abigail. “No parent should ever have to bury their child”, Betty states. Together, she has teamed up with other loss moms and began, “Parents of Angels United”, in memory of their children. Betty is an advocate for the use of cuddle cots in hospitals. A cuddle cot is an advanced cooling system which allows families to stay with their baby for longer time periods. Leah Johnson is a medical biller and senior department secretary. She is married with 3 living children, Alyssa age 14, Aliya age 13, and James age 2 1/2. Leah is kept quite busy with her children and their after school activities. Leah is no stranger to loss. Her first loss was on her birthday 5/28/2003. A baby boy born still at 25 weeks gestation. 11 years later, Leah lost a baby girl at 22 weeks gestation due to placenta abruption on 5/27/2014. Leah also had 2 late term miscarriages in 2014 and 2015. Melissa Tripicchio is a 38 year old stay at home mother who cares for her 19-month old “rainbow baby” named Isabella Grace. She enjoys working out, decorating, and taking her daughter to music and gym classes. Melissa suffered a 2nd trimester loss at 16 weeks pregnant. At 15 weeks her water broke unexpectedly and Melissa delivered her daughter, “Baby Girl Tripp” 1 week later. The reason for her sudden loss is still unknown, but Melissa’s doctors feel that an infection in utero may have caused her water to rupture so early in her pregnancy. After her loss, Melissa attended bereavement support groups and connected with other loss moms over social media to help deal with her grief. She lived by the mantras “Be brave” and “Always believe something amazing is about to happen.” Although, Melissa hadn’t looked at her daughters sonogram photos in 3 years, she mustered up the strength to share them the day of the photo shoot. Thank you for being so brave, Melissa. Marisa Muzyka is a 36 year old television news anchor and mother. She loves all things food related and spending time with family including her 2 sons Kennedy, age 2 1/2 and Ashton, age 1. After a normal, healthy pregnancy in 2014, Marisa gave birth to her first child, daughter Charlotte Madison at 41 weeks pregnant. Despite a quick and easy labor, Charlotte wasn’t breathing when born. She had aspirated meconium in the womb and doctors were unable to save Marisa’s precious baby girl. Marisa was shocked and completely devastated. Shortly after Charlottes birth and death, Marisa also had a miscarriage that was a partial molar pregnancy. According to the Mayo Clinic, “after a molar pregnancy, molar tissue can continue to grow and may develop into a cancerous form.” Needless to say this was a very scary time for Marisa and her family. She was very closely monitored and thankfully has had 2 successful pregnancies since then. Marisa wears a stunning necklace which is an imprint of part of Charlotte’s foot print. It was given to her by her aunt who suffered a stillbirth before Marisa was born. “The necklace is a reminder that Charlotte is with me always, I love being able to touch it and feel a part of her with me.”, Marisa states. Marisa has become an amazing advocate for pregnancy and infant loss awareness over the past few years. She has been very open with her story and has used a public forum to inform and educate her viewers about pregnancy and infant loss. Marisa and her family participate in “The Tears Foundation” Rock and Walk, every year since Charlottes passing. Funds are raised and given to bereaved families for burial or cremation service costs. In October of 2015, Marisa featured The 2 Degrees Foundation as part of a special pregnancy and infant loss awareness news series in which she commentated and created. Danni Ai is a multimedia designer and singer. She enjoys horseback riding and fine art. Dani lives with her fiancé, elderly mother and 2 Maltese dogs. Danni grew up thinking she had a condition that would prevent her from having children. So, in 2002 when Danni lost her first pregnancy, a baby girl she named Sabree, she was devastated. In 2015, Danni became pregnant again. But during her 3rd month ultrasound and the nuchal translucency screening discovered a possible chromosomal issue. Doctors then diagnosed her unborn daughter with Turner’s Syndrome. Turner syndrome is a rare condition that affects only females. It results when one of the X chromosomes is missing or partially missing. “Turner syndrome can cause a variety of medical and developmental problems, including short height, failure of the ovaries to develop and heart defects.”, according to the Mayo Clinic. Danni felt that having a child with Turner’s “was manageable” and decided “to allow god to do his work” since her heartbeat was strong and all vitals were healthy. At 24 weeks, Danni had an echo cardiogram to be sure that her baby’s heart was developing normally. Sadly, no heartbeat was found at this appointment. On May 5th, 2015, Danni delivered her daughter Abiade Isabella born sleeping. Since loosing Abiade, Danni has been involved with 2 pregnancy and infant loss awareness groups that have given meaning to her daughters' deaths. The “Baby Resource Center”, was built to raise awareness and has served hundreds of loss families. “Seedsprung”, is an organization that focuses on an “active healing” approach and provides positive and stimulating classes such as yoga, dance, and boxing as outlets for those who are grieving. Diane DeGroat is a 52 year old stay at home Mom. She has 7 living sons, Johnny age 33, Jesse age 32, Justin age 30, Jacob age 28, Josh age 26, Joseph age 15 and Jacey age 11. On May 23, 2004, at 9 weeks pregnant, Diane learned that her unborn child no longer had a heartbeat. This was her 7th pregnancy and she decided to be strong for her 6 children at home, despite the immense pain she felt. Diane named her son Jeter after her favorite baseball player. In 2007, Diane had her rainbow baby, son Jacey. Diane got pregnant again in March 2010. At 13 weeks she visited the doctor due to bleeding and once again no heartbeat could be detected. Diane named her 9th son Journey. Diane celebrates both of her sons by burning a candle on each of the days they passed away. She and her son Jacey attend a special sibling day for children who have lost a sibling due to pregnancy and infant loss. For the past 4 years, Diane has also taken part in a bulb planting ceremony at a local hospital’s memorial garden. This garden was created by the maternity nurses to memorialize and honor the babies that left the earth far too soon. Brooke Lugo Smith is a wife, mother of a toddler named Jackson Grey, and college student pursuing a degree in Psychology. She has spent 13 years working in the entertainment industry and enjoys music and brand marketing. Brooke was the first runner up in the 2006 national Miss Plus America Pageant, as Miss New York Plus America. She has acted as a positive role model for young girls and has worked on projects that empower girls and women to increase their self worth, in spite of the beauty standards mainstream media. On May 19, 2014 Brooke gave birth to 7lb 6oz sleeping angel, a baby girl named Kennedy Grey. Kennedy’s umbilical cord had a “true knot”, which hindered the flow of oxygen needed to survive. Brooke had felt a decrease of fetal movement during the last 4 weeks of her pregnancy. She went to the hospital several times to ensure her unborn baby was thriving, but the doctors did not detect any umbilical difficulties. Brooke wears a ring which holds the ashes of her daughter Kennedy. She and her husband Collin, also has the letter “K” tattooed to their wedding ring fingers. Brooke’s decision to enter the psychology field is a very personal one. “Many families in the USA are left without proper treatment after experiencing a pregnancy or infant loss.”, Brooke states. “We discovered there was a lack of resources for grieving families, like ourselves.” The Smiths decided to take their grief and turn it into something proactive. Brooke and Colin founded The Baby Resource Center, a family run charitable organization that helps expecting families, as well as those affected by pregnancy and infant loss. Brooke and her husband are also the creators of the viral, international pregnancy and infant loss awareness campaign, #goPINKandBLUE. Thank you for all of your important advocacy work Brooke! Suzanne Fahy is a 44 year old pediatric speech pathologist. She enjoys the beach, broadway musicals, and animals. Suzanne is a mother to four beautiful living children, Kailey age 13, Aiden age 11, Gavin age 7, and Nora age 2. After 3 picture perfect pregnancies in November of 2012, Suzanne went for a routine check up on her 4th pregnancy. She was 16 weeks pregnant when the doctors told her that her unborn son Teddy, (to be named after her grandfather) no longer had a heartbeat. The doctors were unsure of cause and could give her no reason for the loss. In March, 2013 Suzanne found out she was expecting once again. She was nervous but hopeful. This time, Suzanne was being closely monitored by both a OB and perinatologist. At 20 weeks pregnant, Suzanne’s worst fears came true again. Devastatingly, doctors were unable to detect a heartbeat of her unborn daughter who she named, Mary Grace. Frantically, Suzanne searched for answers but to no avail. In June of 2015, Suzanne had yet another loss, daughter Hannah, at 14 weeks gestation. Suzanne had always dreamed of having a large family and she was determined to give her children another living sibling. Miraculously, Suzanne gave birth to a healthy baby girl, Nora Grace, in August of 2016. Sadly, she also had 2 more subsequent losses in 2017 (Molly, 13 weeks and Collin 16 weeks) All of Suzanne’s losses were genetically sound babies with no known cause of fetal demise. Christine Colligan is a 38 year old special education teacher who married her college sweetheart. Together, Christine and Bill have 2 living children, William age 6 and Brayden age 3. They also have a boxer named Oakley. Christine tried to live each day to the fullest. Besides spending time with her friends and family, Christine loves to read and shop! Christine got pregnant within the 1st month of trying and was excited to start a family. Her pregnancy went very well and her doctors had no concerns. At a 38 week doctors appointment, Christine received the most devastating news of her life. The baby girl she had been carrying, no longer had a heart beat. Makayla Lynn, was born the following day, August 18th, 2012. Thankfully, Christine’s blood disorder was treatable and she went on to have 2 healthy pregnancies with the help of close monitoring and use of a blood thinner. Christine has greatly depended on the love from her husband and her family to help her through the healing process. Christine says, “My husband is my rock.” Christine and Bill truly appreciate their love for one another and continue to celebrate the life they have made together, with one very special angel watching over. Angela Palmer is a 35 year old employee of the ARC of Burlington County. She enjoys dancing, cooking, and watching movies. Angela is also a mother to her one living child, 14 month old Wendy Faith. Angela had many pregnancies that ended in miscarriages prior to becoming pregnant with her son Jermey Dale. Her losses were between 10-14 weeks gestation, and the gender of these children were unknown. On June 23rd 2015, at only 5 months pregnant, Angela began going into an early labor. She delivered her 1 lb son the next day despite doctors best efforts to save him. Angela held Jeremy as his tiny heart stopped beating. After much testing, it was determined that Angela’s placenta had stopped working which cause the premature labor of her underdeveloped son. Doctors also discovered a knot in Jermey’s umbilical cord. After Jeremy’s passing, Angela went on to have a baby girl who was born 2 months early. She spent 33 days in the NICU before coming home. They tell their daughter Wendy Faith, about her big brother and that he is always looking after her. Unfortunately, Angela suffered another 12 week loss shortly after having Wendy. Angela was photographed with Jeremy’s baby blanket, hat, and urn. She displays Jeremy’s urn at her home next to his Grandmother’s urn. At Christmas time, Angela hangs a stocking with his name and also gets him a special ornament for the tree. The family also celebrates his birthday with a small cake and candle. 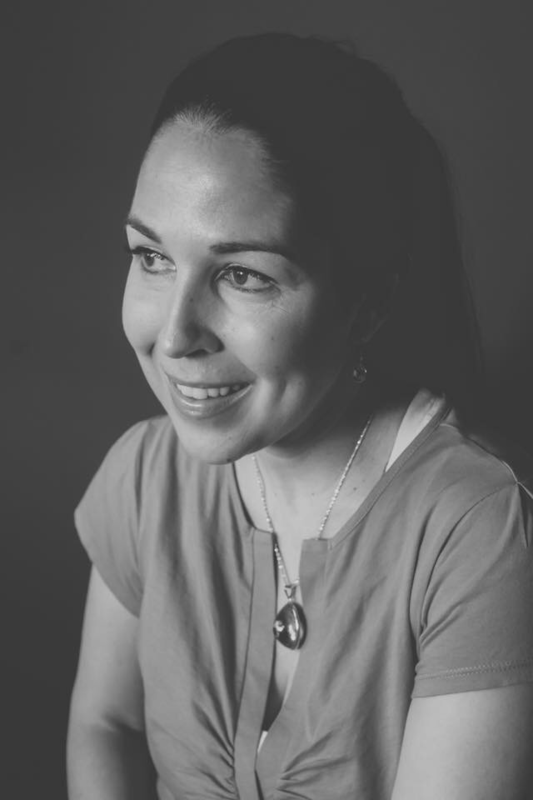 Jessica Garrigan is a 33 year old speech and language pathologist. She works with children in both the school and hospital setting. Jessica enjoys gardening, being outdoors and spending time with her family, including daughters Addison (5) and Avery (4). Jessica was pregnant with her 3rd daughter in 2016. After a busy morning of preparing for her maternity leave, Jessica began to realize that she hadn’t felt any movement from her unborn child. In a panic Jessica called her husband and her doctor. Her doctor recommended that she go to the hospitals labor and delivery unit immediately. At the hospital, Jessica worst nightmare came true. At 38 weeks pregnant, medical staff were unable to detect the heartbeat of Jessica’s daughter. On May 26th, Alexandra Rae was born sleeping after a 12 hour labor. Jessica and Alexandra had a great deal of testing done in hopes to determine a cause for her passing. Unfortunately, the cause was determined based upon diagnostic exclusion and ruled a cord accident. The Garrigan’s include their daughter in everything they do. They picnic near her resting place and celebrate her birthday with a butterfly release. Jessica discusses Alexandra often with her 2 living children, and they know her well. Rachel McCluskey the photographer behind The 2 Degrees Foundations photo awareness campaign volunteered 2 days of her services in support of pregnancy and infant loss awareness. She is 30 years old and is the owner of Rachel Indano Photography - lions den imaging She is also the Mom of 2 living boys Leo, age 8 and Owen, age 2. Rachel was 12 weeks pregnant when she announced her 3rd pregnancy to her family friends. Unfortunately, a few days later in November 14th, 2017 she suffered a miscarriage. We would like to thank Rachel for donating her time and services to this very special project. Without your incredible talent, none of this would have been possible. In our appreciate we are asking everyone to please go like Rachel’s social media pages and book her for your next event! Rachel provides photography services for weddings, engagement, family, newborns, children, christenings, sporting events, birthdays, headshots, and more. 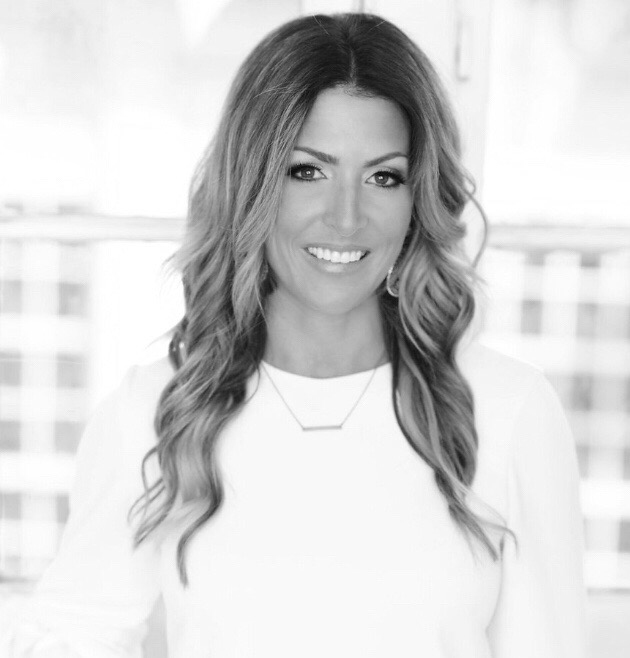 Amanda Tsatsis is an entrepreneur and mother of 2 beautiful girls, Ella (8) and Zoe (3). She loves to travel and works hard to create an amazing life for her family. Amanda’s first pregnancy was quite normal and she never imagined future pregnancies to be of concern. However, Amanda suffered a miscarriage at 12 weeks during her 2nd pregnancy. Amanda and her husband then experienced secondary infertility and pursued in-vitro fertilization in hopes to become pregnant once again. The second round of treatments were successful and Amanda received the news that she was pregnant. Shockingly, a few weeks later Amanda found out that she was pregnant with triplets! The couple was extremely excited to learn that their family was going to soon double in size. The first half of Amanda’s pregnancy with the triplets went well. At 21 weeks she began feeling pain in her rib, so she visited her doctor who ensured her that everything was fine. But a week later, the pain had not subsided and Amanda now had flu like symptoms. After she insisted that her medical team perform a through exam it was determined that Amanda’s water had broken and she had developed a severe infection. Soon after, Amanda went into labor and delivered 3 baby boys, all born sleeping. She named them John Matthew, Konstantinos George, and Nico Michael. Amanda urges all women to listen to what their body’s are telling them and not to be afraid to ask your doctors questions. Amanda’s says, “You are a mother as soon as you become pregnant” and “Mother’s intuition is real.” Self advocacy is a very important piece of having a healthy pregnancy. Maureen Jaret had worked in the food industry for over 30 years with her chef husband Keith. She managed their 3 stores and handled all of the social media and public relations. Two weeks prior to the birth of Maureen’s daughter Megan, she contracted a virus causing her to be born 3 1/2 weeks early. At 3 weeks old Megan began having difficulty breathing. The Jaret’s immediately sought out help from the medical community. After much testing, Megan was diagnosed with myocarditis, an enlargement of the heart, a result of the virus she had contracted in utero. At 7 months old little Megan suffered from cardiac arrest and a stroke. Their medical team told the Jarets that Megan would need a heart transplant in order to survive. Eleven months later, Megan received a new heart through a transplant, but developed an infection and passed away on October 23rd, 1991. Maureen honors her daughter Megan every chance she gets. She is a huge public advocate of organ donation and has dedicated her life to spreading awareness of the importance of organ donation. Maureen’s husband Keith passed away this past February. She is starting a foundation called The Keith and Megan Jaret Heart Foundation, The Heart of the Giving! Millie Rosado, age 32 works with special needs children as a head assistant at The Gramon Family of Schools. She is also a Mom to 1 living son, Jayden age 7. Millie enjoys caring for her son doing different activities with him. At 37 weeks and 5 days pregnant, Millie went to the doctors for routine appointment. During this appointment Millie was delivered the devastating news that her unborn son no longer had a heartbeat. Jeremiah Ali Perdomo was born sleeping on Christmas Day, December 25th, 2009. Testing revealed that there was a blood clot in the umbilical cord that kept Jeremiah living. The clot prevented him from getting the oxygen needed to survive. The nurses at the hospital made Millie a beautiful memorial box with her son’s footprints, a lock of his hair, and photographs of her angel. She cherished these memories dearly, and was happy to be given the opportunity to keep his memory alive through this campaign. 6 months after loosing her son Jeremiah, Millie also lost her mother. Christmas is a bitter sweet time for Millie and she keeps both of them near and dear to he heart. Shilah works full time as a Sales Manager at Johnson & Johnson. She enjoys working out and traveling to tropical islands. Shilah is also a mother to 2 living children. "Losing Logan has changed our family forever. ", Shila states. She spreads pregnancy and infant loss awareness by advocating for women to request induction of pregnancies that go past 38 weeks gestation. The American College of Obstetrics and Gynecology currently defines a full term pregnancy as pregnancy between 39 weeks and 40 weeks and 6 days. Toni Giovatto is a 37 year old licensed clinical social worker and mother of two beautiful living children, Grayson age 4 and Reya age 1 1/2. She enjoys yoga, CrossFit, photography and dancing. 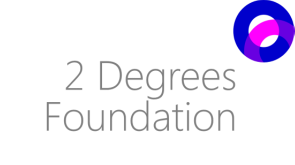 Toni has also recently accepted a seat on The 2 Degrees Foundations board of directors. Toni is no stranger to grief and loss. When she was 15 years old she suddenly lost her older sister Gina to a very rare blood disease at only 18 years old. This tragedy inevitably sparked Toni’s interest in mental health and inspired her to “give back” to those in need. Toni went through fertility treatments in order to get pregnant with her son Grayson, so she was pleasantly surprised to find out she was pregnant with her 2nd child by natural means. Unfortunately, in October 2015, Toni suffered a miscarriage at 9 weeks gestation. She was blessed with a 3rd pregnancy and a healthy baby girl born in April 2017 as a result IUI (intrauterine insemination). Mental health is a very important issue when dealing with pregnancy and infant loss. Many women do not know where to receive appropriate therapeutic services or the correct individualized mental help that is so desperately needed. The loss of a pregnancy and or infant is completely devastating and often there are secondary losses that follow. Rates of divorce and or separation are higher in couples that have experienced pregnancy and infant loss. 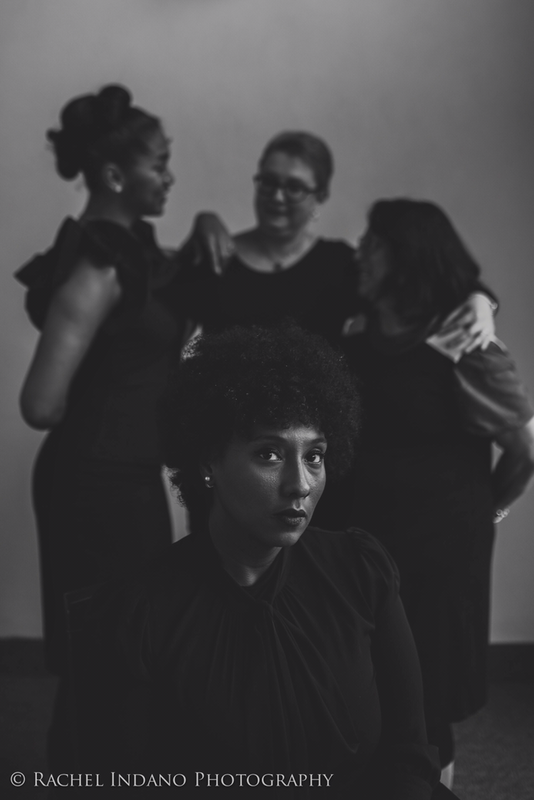 Many women loose friends or family members after dealing with insensitive comments or ignorance associated with handling an individuals grief. Women loose their jobs, faith in the medical community, and the joy associated with subsequent pregnancies. We urge all families that have suffered from pregnancy and infant loss to seek the mental care that is best fitted for you. Do not suffer in silence, you are not alone. My name is Stacey Dinburg and I am a part time instructional facilitator at a private school for students with special needs. I am also a full time Mommy to my 2 darling daughters, Skyelar age 2.5 and Teagan age 1.5. I enjoy taking my girls out and about, shopping, visiting the beach, and anything that has to do with relaxation! Pregnancy was not something that came easy to me despite wanting to start a family. In 2011 I suffered an ectopic pregnancy which resulted in the surgical removal of my fallopian tube at 10 weeks gestation. I went through over a year of fertility treatments prior to getting pregnant in 2013 with the help of IVF. On January 30th, 2014 I delivered a beautiful sleeping angel named Rhyan Ava at 37 weeks pregnant due to placental and umbilical cord issues. That horrific, gut wrenching pain remains so vivid in my mind. That pain is something that every single mother who has lost a pregnancy or infant feels. Each mother featured in this campaign although suffered from different types of loss, all share that same pain in common. A pain that swallows you whole. A pain that can hit you like a ton of bricks. A pain that deserves to be acknowledged. For me, picking up the pieces and mending my broken heart took time and a great deal of patience. My heart will never be the same as it once was and a piece of it will always be missing. But, like the mothers of this campaign, I refuse to suffer in silence. We have all chosen to tell our stories in order to raise awareness and to honor our loved ones. To speak their names and to build a legacy of memories to remember them by. As pregnancy and infant loss awareness month comes to an end, the daily struggles that the women who have been affected by these tragedies continue. I am very grateful to have had the opportunity to work on this campaign and share each individual story. It was very therapeutic to meet each mother and to dedicate a day to celebrate their children. Thank you to Rachel for all of the beautiful photographs and for making our vision come to life. You are a true artist! Thank you Toni for agreeing to come aboard this crazy ride with us! I can’t wait to see what the future has in store for us. Thank you to my partner in crime, Debbie. You inspired me to become a stillbirth advocate and continue to influence me in so many positive ways. Thank you to my friends and family that continue to support me throughout this journey. I appreciate everything you give. I love you. Thank you to all of the brave loss Momma’s that came out and shared your stories with us. I realize this wasn’t easy for most of you. We are beyond grateful for your courage and strength. Thank you to my precious Rhyan Ava. You made me a mother. You taught me what real inner strength feels like. You showed me the importance of turning dark into light, bad into good and fear into bravery. Although you are not physically here with me, I feel your presence every day. You my angel have made me a better person. I love you. Instead of sharing my story, for the umpteenth time, I have chosen to take this opportunity to honor and thank those who’ve made this beautiful photo campaign possible. First and foremost, I would like to thank Stacey Dinburg; this campaign wouldn’t have happened without you. Your support and dedication to 2 Degrees is awe-inspiring and I am eternally grateful to have you in my life. You’re a true force to be reckoned with and I wouldn’t want anyone else by my side on this journey. 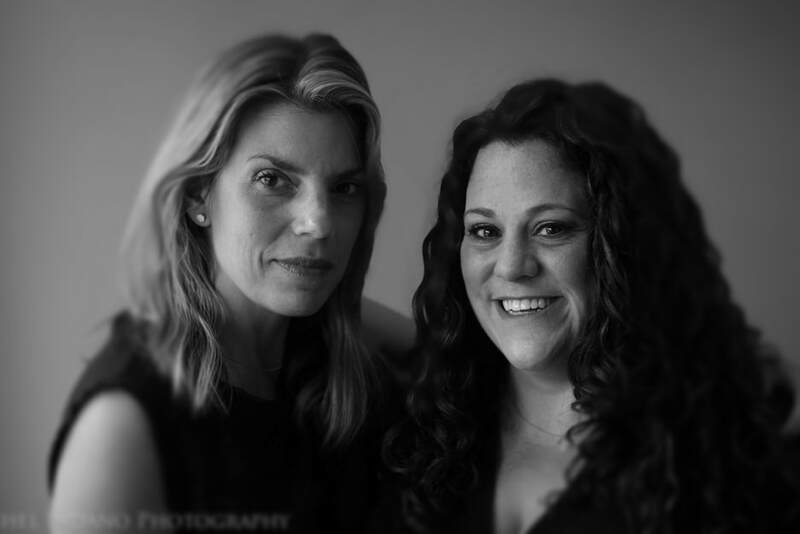 Next, thank you to Rachel McCluskey, the extremely talented photographer behind this weekend long photo shoot. Rachel donated her time and talent and we couldn’t be more appreciative. Thank you for taking such beautiful, respectful, and impactful photos. And Toni Giovatto, thank you for donating the space, your time, and your words; you have such an incredibly special way with words. Thank you for making yourself available to all of us, we were so lucky to have you there. And we couldn’t be more excited to have you join our 2 Degrees Board!! Lastly, to all the beautiful moms who traveled near and far to share their stories and help to put a face to Pregnancy and Infant Loss- words cannot describe how thankful we are. Stacey and I loved having the opportunity to meet you all. We are part of a club that no one ever wants to be a part of, a club where we are members for life. We are there for each other, when the rest of the world is busy moving on, we will always have each other to call upon. We are the 1 in 4.